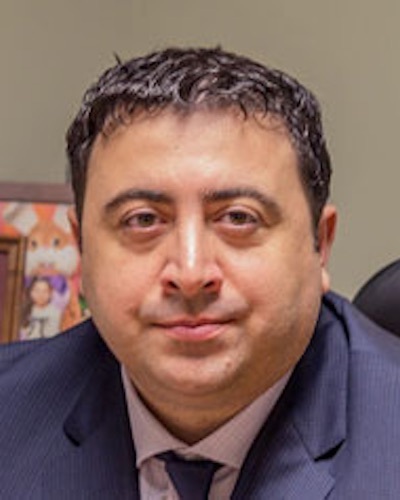 Armen Kirakosyan, MD, FACOG, FPMRS, FRCSC, FACS is an obstetrician/gynecologist, certified by American Board of Obstetrics and Gynecology, American College of Surgeons, and Royal College of Physicians and Surgeons of Canada. He has received subspecialty certification in Female Pelvic Medicine and Reconstructive Surgery (former Urogynecology). Dr. Kirakosyan is currently Medical Director of Minimally Invasive Gynecologic Surgery division at Buffalo General Medical Center and holds the position of Clinical Assistant Professor at OB/GYN Department at the State University of New York at Buffalo. Dr. Kirakosyan’s special surgical interests include: advanced laparoscopy, single port laparoscopic surgery, robotic surgery, pelvic organ prolapse and urogynecology.